You know you want to keep your students working til the very end doing a last day of school writing prompt, right? Am I the meanest teacher in the world? No worries, your students won’t even know they are working. They will enjoy telling you the favorite part of their school year or telling you what they will do this summer. 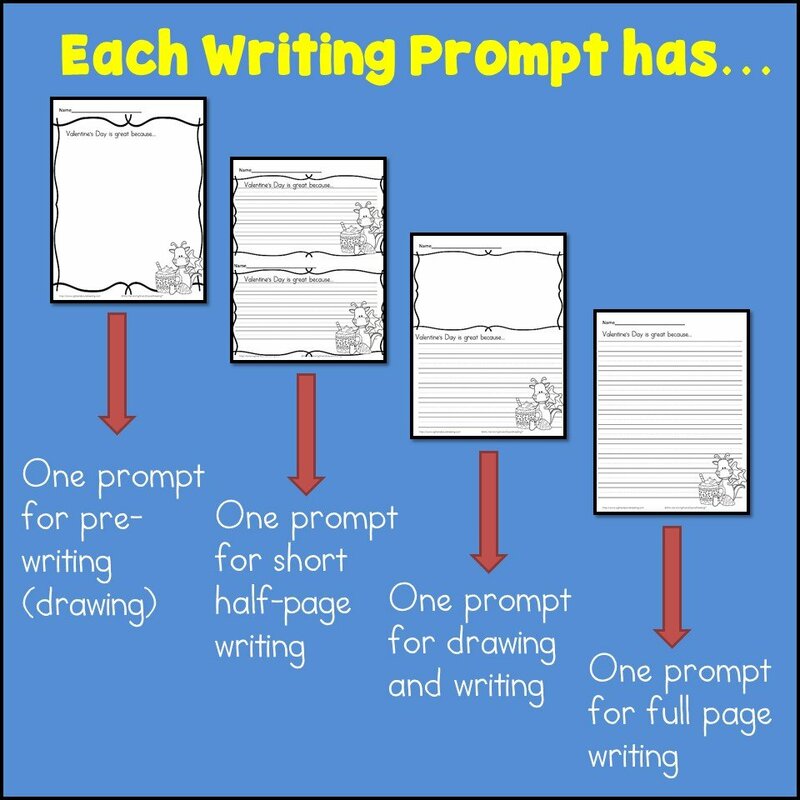 Cute writing paper, fun last day of writing prompt ideas, before you know it the students will be on the bus home and you will have a little bit of time to recover from a school year well done. This Last Day of School Writing Prompt packet includes 50+ pages of writing prompts. There are over 15 different writing prompts on four different types of paper: You can see the different paper types below. The student can draw and write, just write a sentence or two on a half sheet, write an entire page, or just draw! please send me the Last day of school free writing prompts. Sorry for your trouble. Did you check your spam folder…sometimes things go there. The freebie has a subject of “Here is your free download!” …Inside that email there is a link. That link, if you click on it, the download will either popup in a new tab or download into your download folder. Sometimes that link does not come hyperlinked. If that happens you have to copy/paste the link into a new browser tab and it will then open for you. If you have trouble with this, though, you can forward me the email/replay to the freebie email you received and I will be happy to help you with it.